« Ten things we did in the 50s we don’t do now. Ten More Things we did in the 50s we don’t do now. 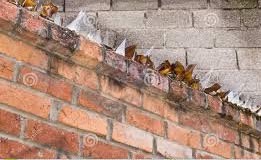 Broken bottles on the top of a wall. The last time I can recall seeing this was in about 1997 when I was a District Nurse in Newham. I used to park my little car around the back of Forest Gate clinic and walk through the estate next to it each day. There was one house that had cemented in broken bottles running along the top of their boundary wall. I thought by now it would be illegal under all sorts of EU and Health and Safety but apparently you can still use this form of deterrent but I have to say would have been a common site in Connie’s day is now, quiet rightly, consigned to history. Before digital Sky Sports, TV, juke boxes and radio, no East End public house could hope to attract customers without an old upright Joanna. It was the main stay of Friday and Saturday night entertainment when patrons would gather around to sing the popular songs of the day and old favourites, very like modern Karaoke. As well as community singing people would often be cajoled into doing a ‘turn’, usually a sentimental tune. My Aunt Nell, who I based Millie Sullivan’s Aunt Ruby on in Call Nurse Millie, always sang ‘When I Leave This World Behind’ https://www.youtube.com/watch?v=Pb-9lk249v4 and at the end there wasn’t a dry eye in the house. 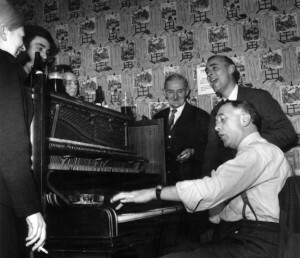 And the pub didn’t have to pay a pianist as many people had pianos in their own parlours and could play. My Father, although never formally taught, could play by ear and as a young man was always asked to parities, which in my 1970s teenage years was the equivalent to having a good record collection. Of course music in public houses can trace its history right back to the early 1800’s with supper room singers in side rooms off the main drinking area who would pass the hat like a modern busker. Sadly, with public houses morphing into restaurants or sports bars the sight of a crowd gathered around a piano with a pint in their hands singing is a thing of the past. I decided against giving you an actual 1950s photo of this as I’m sure if I had you’d be too freaked out to ever visit my blog again. 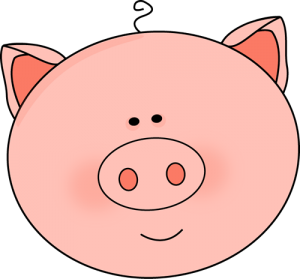 However, I can assure you that right up to the 1960s there would always be a pig’s head or two in the butcher’s window for the thrifty housewife to purchase. For today’s generation meat –if they eat it at all- comes in neatly clear plastic boxes with a delicate little padded doily beneath it to soak up what little blood there might be. However, when I was a child meat came in great chucks of animal parts sitting on plastic trays and oozing blood. Every Saturday morning, while out shopping with my mum, I would queue up outside the butchers whose shop window was filled with such delicacies as the aforementioned pigs heads, trotters and hearts, liver, kidneys, fluffy piles of tripe- sheep’s’ stomach- ox tail and sweetbreads, which are neither sweet or bread but the thymus gland and pancreas of lamb. In addition, where were often un-plucked chickens that for an extra 6d could be drawn and cleaned by the butcher once purchased or left for the housewife to do. My Aunt Nell always one to save a bob or two always gutted her own chicken. Now if you think this is like something out of the dark ages just remember; that while meat had been on war-time rationing from 1939 until 1954 offal hadn’t. People had got used to eating meat that today you can only find at specialist butchers. Although, children today would turn their noses up at such things Connie and her generation would probably have sat down to a plate of all of these things at least once a week. Now as my old Nan used to say, “kids today don’t know they’re born”. If you Google children’s go-cart today you’ll be offered a large array of colourful plastic purpose built cars or even mini- racing cars with small engines but for Connie’s generation a go-cart was a hammered together affair made up from some old pram wheels, orange crate and string. The posh version might have a nailed on piece of wood that acted as a brake but otherwise it was the soles of your shoes that stopped you. Of course, looking back they were blooming lethal and how more children didn’t end up under the front wheels of vehicles I don’t know but in the 1950s the backstreets were almost devoid of traffic with just the odd delivery van passing by. 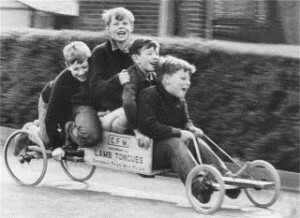 With so many children living cheek by jowl with siblings, relatives and other families in the same house it’s little wonder the streets were the natural place for them to let off steam and with bomb sites on every street corner the material for their improvised toys was always close at hand. 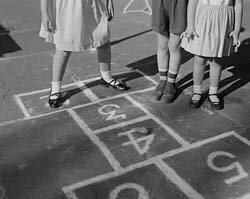 While the boys scooted around in their fragile boxwood vehicles the girls played other games, one you don’t see any more, hopscotch. It’s origins go back for hundreds of years and variations can be found all over the world but while you often see hopscotch courts painted in playgrounds you never seen them chalked on pavements as Connie would have. It’s yet another casualty of children no longer being able to play in the street. There was a time when from mid-October onward little gangs of children could be seen huddled around a homemade dummy which represented Guy Fawkes and asking passing strangers for money. The Guy was usually haphazard affair made from holey jumpers and frayed trousers stuffed with newspapers. Its face was drawn on a piece of card or if you could afford a tanner, a bought one of pressed cardboard. On a day or two before the 5th November children would gather their money together to purchase fireworks. Instead of the organised back garden firework parties, with buckets of water standing ready, that we’re used to today children used to let off their own fireworks- often unsupervised, around a bonfire of fruit crates and discarded timber stacked up on one of the many un-cleared WW2 bomb site. I suppose for today’s children the imported Trick or Treat and Halloween festivities has supplanted the traditional celebration of democracy although no one would dream of letting a child wander about alone in the dark asking for money or sweets so the modern Trick or Treaters usually accompanied by their parents. 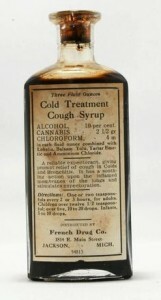 Chemist’s own tonics and cough mixtures. As today most medicines come in either bubble packs or in sealed bottles the job of the pharmacist as the maker of medicines has completely disappeared. Therefore it might surprise you to know that in Connie’s day it was common place for a pharmacist to supplement his income by making up his own preparations. Before the introduction of free prescriptions in 1948 people who were feeling a bit ‘under the weather’ would pop into their local chemist and ask him for a chest plaster to draw out the phlegm or to make them up a tonic or pick-me-up The main reason for this was it was much cheaper than a trip to the doctor. Chemists were the first port of call for many and also supplied their own recipe for cough mixtures, teething syrups and preparations to treat chilblains, cold sores and conjunctivitis. Of course in most cases it contained nothing more harmful that vitamins, malt, cod liver oil flavoured with sugar syrup or liquorish but until the Dangerous Drugs Act, of 1964, it could also contain cocaine and marijuana for medicinal purposes a fact I’ve used in Wedding Bells for Nurse Connie with unforeseen consequences. X-ray machines in shoe shops. 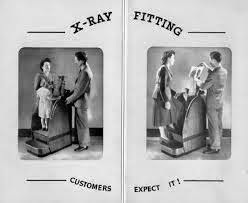 Today parents would run screaming from a shoe shop offering to X-ray their children’s feet to ensure the shoes they were purchasing were correctly fitted but unbelievably that’s exactly what thousands of unsuspecting parents did. I remember having my feet X-rayed in the Regent Street Branch of Clarks when I was about seven or eight. Of course this was before the result of the nuclear test carried out during 1940s and 50s showed a link between radiation and cancer. School boys in short trousers. 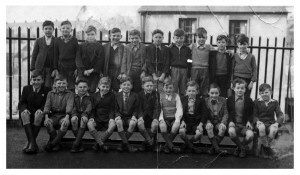 Unlike today where boys are dressed in trousers from the moment they’re born in Connie’s day boy stayed in short trousers right up until the time they went into secondary school and sometime for a year or two after that. They were invariably grey and held up by an elasticated belt with an S-shaped clasp. 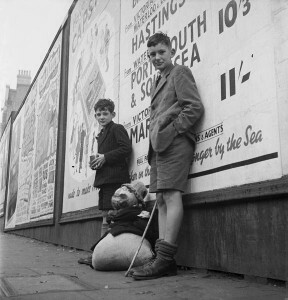 Apart from the truth that cut knees heal while ripped trousers don’t, another reason cited for keeping boys in short trousers for so long was to ‘get some air to their legs’. This may be a misinterpretation of the benefit of sunlight to prevent rickets but for whatever reason, even early-maturing fourth-year boys with downy top lips and broadening shoulders could be seen running around in short trousers until they were at least eleven or twelve. 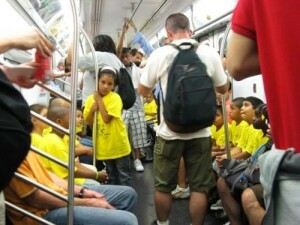 Children sitting while adult stand. Now without sounding like ‘angry of Essex’ one of the things that makes me a little annoyed is children sitting in a train seat while adults are standing. Yes, I know they’ve paid their fare like everyone else but in Connie’s day no child would have been allowed to occupy a seat while an adult, of whatever age, stood. It wasn’t so much about the seat but teaching children to respect their elders. This went beyond public transport protocol to opening doors for an adult, not interrupting them or barging past them and standing up when a teacher came into a room. In Connie’s day and there was a clear demarcation between children and adults and they lived very different lives. Even when children left school they remained in subordination to their parents, right up to the time they were married. Although the advent of the 50s teenage culture from America shifted the balance a bit even as late as the mid-60s many young people were still handing over their wages to their parents. One Response to Ten More Things we did in the 50s we don’t do now. If you went to Stamford Hill Broadway, you’d have found a woman known locally as Fanny the Fowl. As far as I knew, all she did was sit and pluck chickens all day, and you could smell them at a hundred yards. Lovely. My grandmother saved money by asking the butcher for lights. I believe that’s lungs. Lovelier! And I agree about children having seats anywhere, while adults are standing. Even more galling is when the children get up and scamper around, and still wander back to “their” empty seat. “Oh but diddum’s legs get tired.” Hrumph. If diddums was that tired, diddums would be sitting very still!